Orders must be placed Nov 8 between 12:01 am to midnight PST. 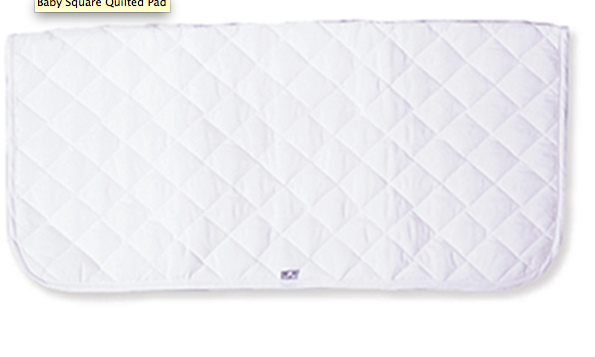 Square Quilted Pad, also referred to as a Baby Pad is made of high quality 100% white cotton broadcloth. 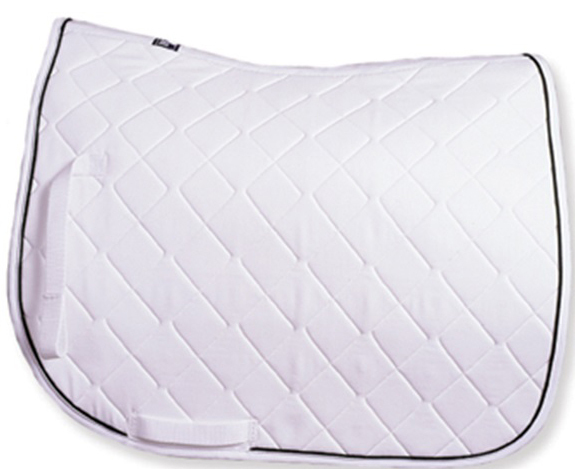 This excellent pad is filled with breathable, absorbent bonded fiber and top quilted for comfort. 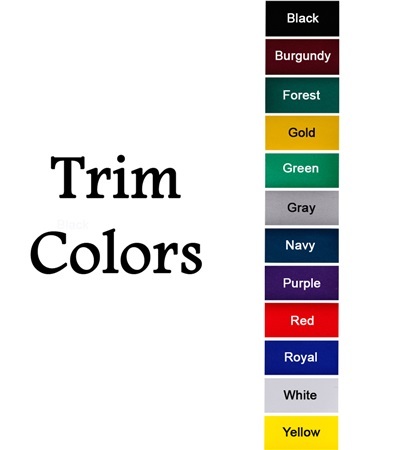 Available with white trim. Machine washable. Made with the finest materials available. 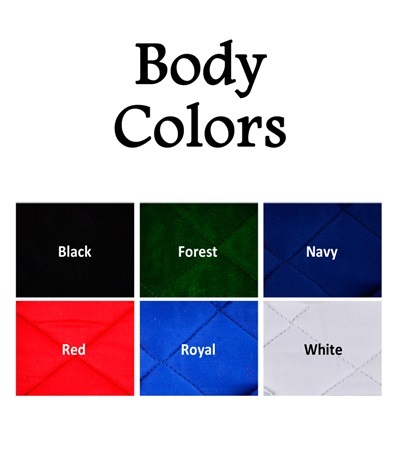 Wither and spine design offer the ultimate fit in these fine quality quilted pads. The outer shell consists of a washable 7 oz. pre-shrunk poly-cotton and a 3/8" thick padding with brushed canton flannel underlining. 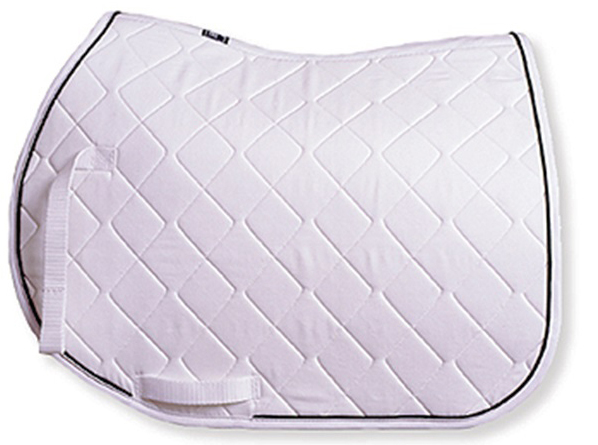 Size – Horse 20" x 38"
Baby Saddle Pad made from durable cotton twill with soft diamond quilted design that helps to absorb sweat. Measures 27" x 33 1/2". Available in white only. 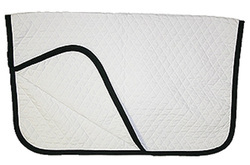 Excellent Quilted Dressage Pad with 1" diamond quilt 6 oz. cotton outer shell. 8mm foam and 240 gm polyfil cushion provides maximum comfort. 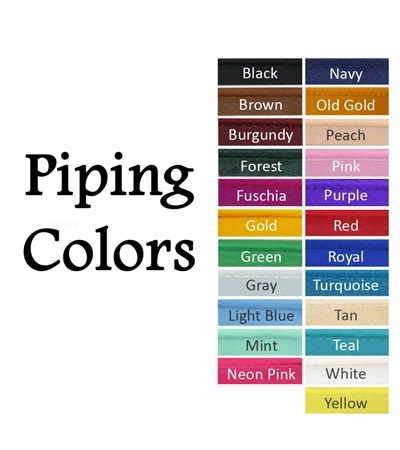 Indexed body color, piping color and trim color. 25" X 44". Size – Horse 24" x 44"